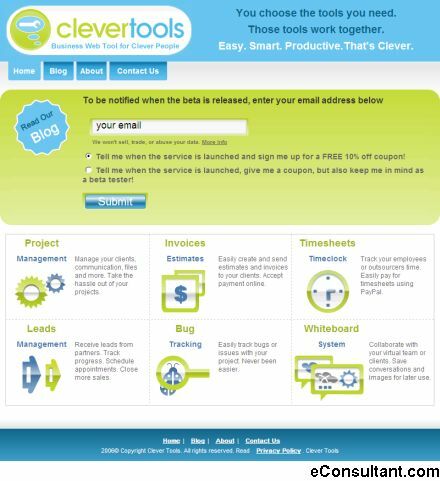 Description : CleverTools is an online suite of business web tools aimed at small business, especially the web design/web development/artistic communities. There are currently 6 tools in development: Project Management, Invoicing/Estimates, Bug Tracking, Timesheets/Time Clock, Leads Management, and a collaborative Whiteboard. One of the innovative and truly beautiful things about the system, is the fact that you don’t have to use every single tool. You only pick and chose what tools you need and they then work together.